The United States and its allies keep waiting on Iran to make more concessions on its nuclear enrichment program. But they’re missing the bigger picture. The US stance on Iran’s uranium enrichment program, according to recent media reports, is softening. In other words, Washington might agree to a technical workaround on the issue of dismantling centrifuges or accept a higher number of active centrifuges than it had previously been seeking in international negotiations with Iran. 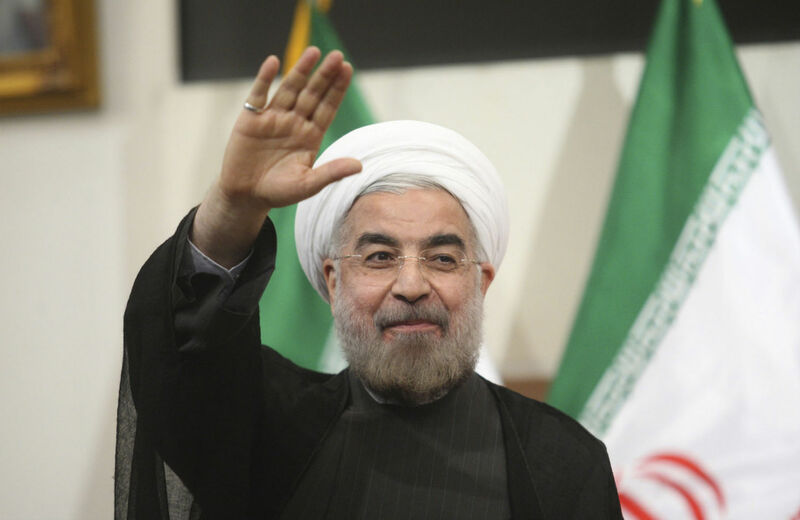 Iran already made some pretty significant moves to reach last year’s interim agreement. Iran’s leaders agreed to freeze their nuclear program in place, to drastically cut their stockpile of enriched uranium, and to cooperate with stringent monitoring and verification processes—agreements that they have kept. In return for these concessions, they got about $7 billion in sanctions relief and the promise of more negotiations. The deal to extend the talks that was reached in July gave them another $2.8 billion in sanctions relief. So, the total to date is $9.8 billion—which is a lot of money, but it’s less than 3 percent of Iran’s 2013 GDP. That number is similarly unimpressive when compared to the $100-plus billion in Iranian assets still frozen under the sanctions regime. Also working against the possibility of “significant moves from the Iranian side” is that Iranian President Hassan Rouhani, by all available evidence, has more to lose politically by making major new concessions to the P5+1 than he does by walking away from the table. The Iranian public is prepared for the nuclear talks to fail, and they’ve already decided that the United States and the rest of the P5+1 will be primarily responsible for their failure. That’s not to say that Iranian hardliners won’t use the failure of the talks to score political points against the moderate Rouhani. But whatever damage he would take in such a scenario pales in comparison to the amount of public hostility he would engender by agreeing to a deal that drastically cuts Iran’s enrichment capacity from where it is now—a concession that nearly three-quarters of the Iranian public would reject. Logically, the P5+1 position makes little sense. If Iran were going to concede to the P5+1′s wishes with respect to uranium enrichment, why hasn’t it done so already? What has changed since July, when the first deadline for a deal came and went, that would make Iran more amenable to the P5+1 position now? If anything, the extension of talks has placed so much attention on Iran’s commitment to its enrichment program that to acquiesce to American demands would likely be more politically damaging for Rouhani now than if he had done so in July. We are committed to continue our peaceful nuclear program, including enrichment, and to enjoy our full nuclear rights on Iranian soil within the framework of international law. We are determined to continue negotiations with our interlocutors in earnest and good faith, based on mutual respect and confidence, removal of concerns of both sides as well as equal footing and recognized international norms and principles. I believe mutual adherence to the strict implementation of commitments and obligations and avoidance of excessive demands in the negotiations by our counterparts is the prerequisite for the success of the negotiations. Arriving at a final comprehensive nuclear agreement with Iran will be a historic opportunity for the West to show that it does not oppose the advancement and development of others and does not discriminate when it comes to adhering to international rules and regulations. This agreement can carry a global message of peace and security, indicating that the way to attain conflict resolution is through negotiation and respect, not through conflict and sanction. What’s worse is that, by waiting for Iran to concede on a few thousand centrifuges in order to lengthen its “breakout time,” the P5+1 risks missing the opportunity for a historic chance to reintegrate Iran into the international community. MIT nuclear security expert Jim Walsh has pointed out that in past arms control agreements, it is inevitably the process of reaching the agreement itself—and the political and diplomatic changes the agreement enables—that ensures the long-term success of the arms control process. The painstakingly negotiated details about numbers of armaments or uranium enrichment capacity are never as important as that political change. A comprehensive nuclear deal has the potential to reincorporate Iran into the international community for the first time in thirty-five years and could cement the strength of Rouhani and his fellow moderates within Iran’s fractious internal political system. Changing Iranian politics and the way Iran interacts with the rest of the world would have immense benefits for arms control as well as on a vast array of other regional and international fronts, benefits that can’t be boiled down to a simple—and flawed—calculation of Iran’s nuclear breakout potential. Israeli Prime Minister Benjamin Netanyahu has observed that “no deal is better than a bad deal.” But the definition of a “bad deal” needs to be about more than breakout metrics and minimizing Iran’s enrichment capacity. The P5+1 must stop defining the success of a comprehensive deal purely on metrics and instead consider the intrinsic value that such a deal will bring with it. President Obama’s own address to the UN included a call to Iran’s leadership to “not let this opportunity pass.” The United States and the P5+1 would be well-advised to heed the same call. Derek DavisonDerek Davison is a Washington-based researcher and writer on international affairs and American politics. He is a contributor to Foreign Policy In Focus.